YAY!! I am so excited! I have so much to do now! Which is great because I was in a real slump today! So many things to write! I knew you would the minute I saw the preliminary sketches. I gave the artist complete freedom, and while she turned up with something wildly different than last year, I really kind of love it! Thanks for your faith and encouragement, Ms. Elephant! It means so much to me. Elephant I keep trying to get to your page with your new blog entry, and I keep getting the Oh Snap! message. I do want to read it sometime. Let me/us know when/if it comes back. And, I had some questions. Well anyway hope you are ok! I am so glad to see this and you today. Here’s to another great year of promoting awareness and finding others who can understand what we go through and may be able to help in some cases. The important thing is a place to be heard and for everyone to know they are not alone out there/here. Sheena, I hereby nominate you as the most patient and understanding woman of all time. I know you aren’t the only one who feels it, but you’re the one who never fails to say it. I wasn’t a member last year but will be working on my post over the weekend. Good luck, Ruby and team. Oh and love the badge, elephant great! Cat, I’m very excited to have you participating this year. I hope you know by know that I think your words are wise, brave, and insightful. Well right back at you! You’re one of the individuals that really inspires me to keep going with this! Kerry, you’re awesome! Absolving me of — and encouraging me in — my delinquency are qualities I very much admire! Thank you for your expressing your admiration for the elephant, total credit to the artist on that one. I’ll pass your words along, she’ll be thrilled that she’s making Warriors happy with it! Glad to have you (and others) keeping an eye out! *steeples fingers* Excellent. I was thinking about this last week. Now, if my brain could remember things for more than a minute lately, we’d be grand at getting this rolling. I get the memory thing. So much. But hey, you’ve still got 11 months! Thanks for catching that, you and Kerry both helped me remedy that three a.m. cut and paste error. I appreciate it, because I know a lot of participants will do the same (cut and paste), and it’s kind of an important distinction. . . I appreciate being chosen and am glad I am able to participate in this. 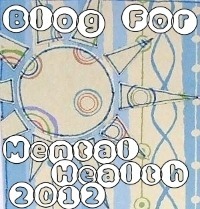 Ive had my blog for maybe a few years. I like seeing that there is a list to choose from for when people who need support or are looking for info can find. I’m so happy you took the initiative to reach out and become involved, Moze! I’m glad you’re a part of the project and look forward to the list getting longer and longer — you’re absolutely right, it really does provide a wonderful network for those looking for support, or even just to learn. I also read the email and I updated the information on my site. Thank you, and apologies again for the confusion! I hadn’t given up on you at all Ruby! And I love the 2015 Badge! Oo, this sounds like something that I could do. I hope you do, and look forward to hearing from you! First of all, though the words are a bit displaced here (in this comment response, I mean), huge congratulations to you on your Profession! You look so beautiful — I truly believe with all of my heart that you’re radiating the light of the Holy Spirit from within you. I know these words really belong on your post about the ceremony and the day, but I’ve been so remiss in keeping up with comments on others’ blogs (even comments on my own blogs) that I wanted to share my joy and love for you here, as your post has been on my “need to respond” list since you published it. Odds are high that if I had waited longer I wouldn’t have found the time to celebrate you and how incredibly inspiring I find you and your journey. To the matter at hand here, I confess that I’m delighted to have you pledging! Your belief in the project and support mean so very much to me. 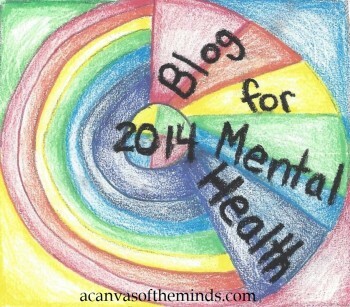 It will be an honor and a delight to add you to the 2015 Blogroll, and to share out your words to the BFMH community. oooooooooh looking swanky! I like. Thanks. The design came together a little slowly this year, but it did eventually come together! That’s great, Randy, I’m glad you’ve taken such an interest. 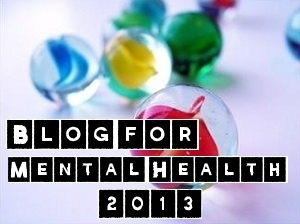 I’ve finally been able to update the Blogroll, so you can go on over and have a look!